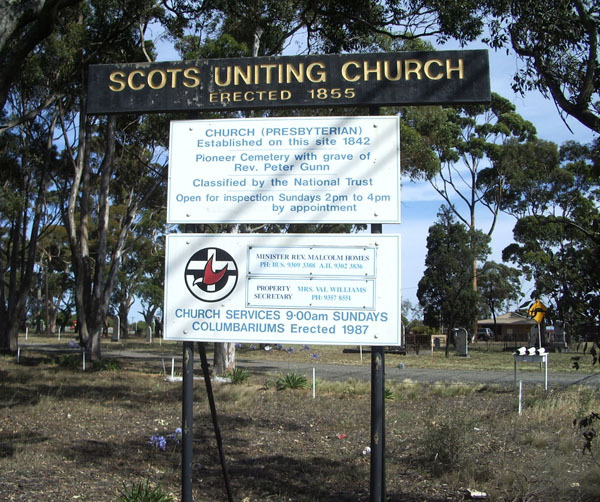 Scots Church Campbellfield is found on the eastern side of the Hume Highway on the northern outskirts of Melbourne at 1702 Sydney Road, Campbellfield, Victoria. 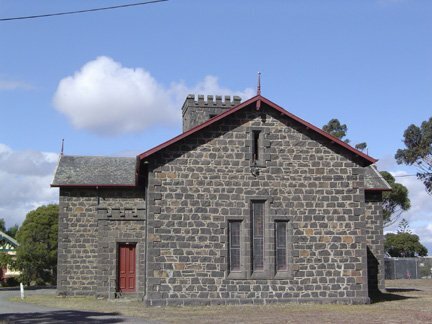 The church opened in 1842, was on 5 acres, and was a gift from Mr Neil Campbell of the Campbellfield Estate and formally from the Isle of Mull. The burial ground in the churchyard was established in 1844 during the time of the first Presbyterian minister, the Rev Thomas Mowbray. It is a private Presbyterian burial ground containing the graves of many of the districts first settlers of Scottish origin. 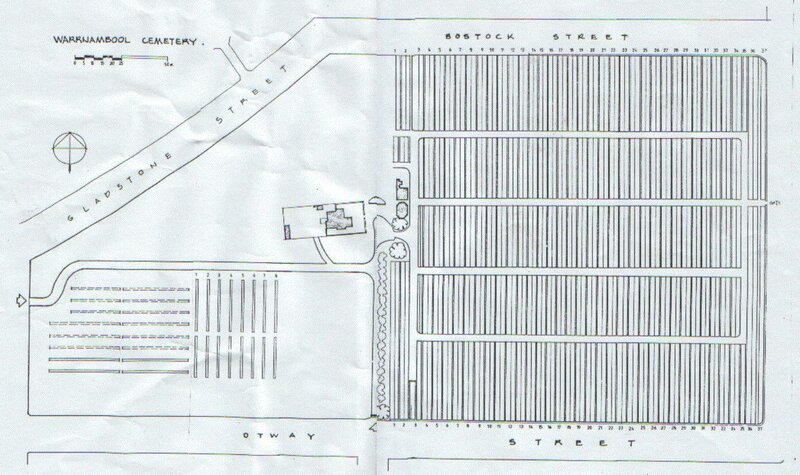 The cemetery is now part of the Broadmeadows area. On the headstones one can still find the following family names Campbell, Carmichael, Collie, Fraser, Gunn, Grant, Lowry, MacDonald, Mackenzie, MacPherson, MacRae, Noble, Pearson, Surgeon, Toogood, Watt, Williamson, Wilson and Wright. Officially the last burial in the churchyard cemetery before it was closed was that of Jane Rennie Toogood who was buried on the 24th July, 1930, but on the 4th July, 1952 Margaret Jane Wright was buried in the cemetery in the family grave. This created a few problems as official permission had not been obtained for the burial, but was given after the burial following much paperwork. The final burial, officially approved on application in August 1952, was that of Duncan MacDonald who passed away on the 18th June, 1957 and buried in the family grave. 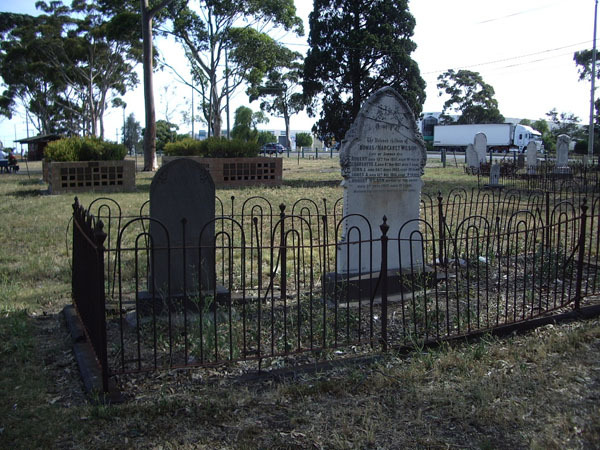 Also in the Broadmeadows area where this cemetery is found is the Will Will Rook Cemetery and found near the Broadmeadows Military Camp and was established in August, 1859. A number of the headstones are still found in the graveyard with the following providing an indication on a few of them. 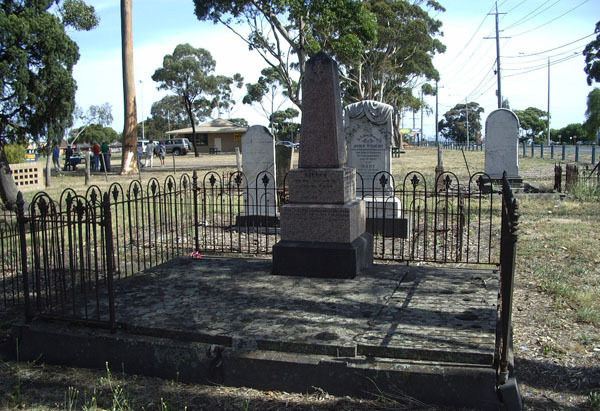 · In Memory of ELIZABETH who died 14th April, 1854, Aged 46 and ALEXANDER who died 12 Feb 1867 aged 70, daughter and son of the late MURDOCH CAMPBELL ESQ. Of Coalis Isle of Coll, Argyleshire. 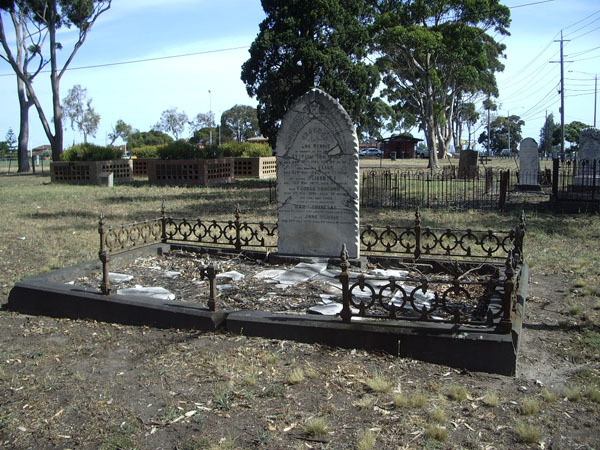 · Sacred to the memory of FARQUAR MacDONALD (Drover), eldest son of the late JOHN MacDONALD of Clonbinane Station Victoria, born 4th May 1829 at Carr, Kinail, Rosshire, Scotland. Aged 84 years. Colonist of 65 years. Also his wife MARGARET MacDONALD died 2th Jan 1861. Aged 26 years. 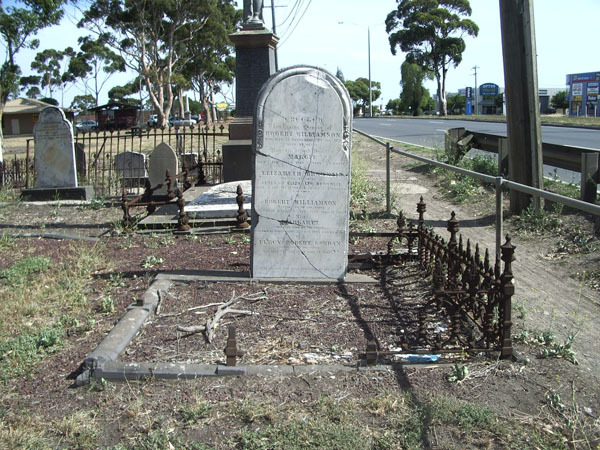 · Sacred to the memory of ADELAIDE LOWRY, died May 13th 1867. Aged 8 years and 2 months. 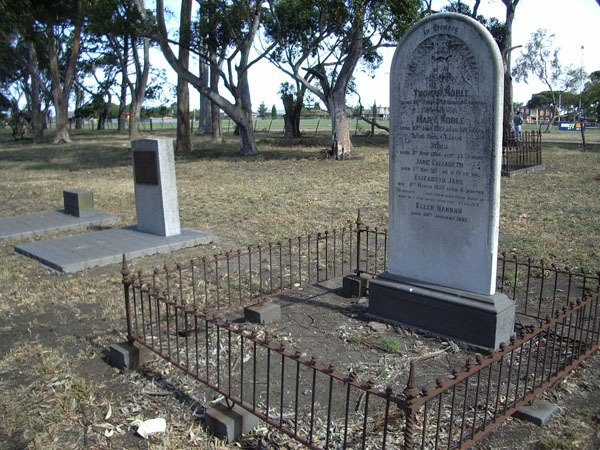 Also JANE LOWRY, died Sept 2nd 1885; Aged 55 years. · Sacred to the memory of RODERICK MacDONALD. Late of Glengary, Can Diemans Land. Died 8th November, 1846. Aged 73 years. 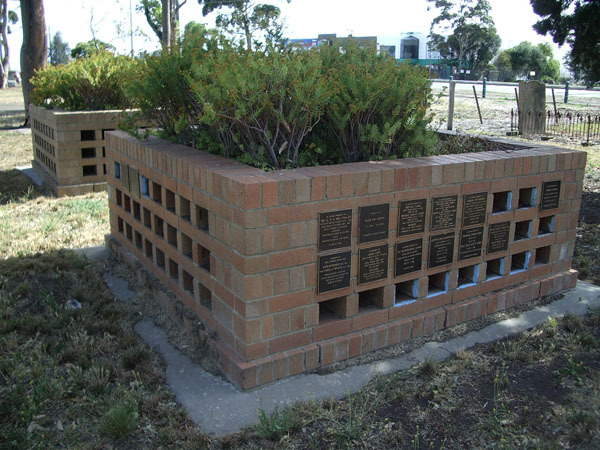 The headstone records for Campbellfield Cemetery are found in the GSVs and the SAG (Society of Australian Genealogists - Sydney)s libraries and are from 1845 to 1930 and were transcribed by R. W. F. Hopkins, circa 1949.